Since 2009 we supply the most demanding customers with high-end Fujinon night vision binoculars. The binoculars are unique because of the changeable eye pieces. During the day you use the day oculars and at night you change these for the night vision ones. Equipped with best-of-class Photonis image intensifier tubes. You can expect meticulous craftsmanship, field flattener lenses, multiple coatings and a very ruggedized rubber armoured housing. At MSS Defence we also supply military tripods, custom hard cases and all other accessories that you might need. Note: This is a dual use good, EU export regulations apply. Stabiscopes are used for professional observation when strong motion and vibration affect viewing. They work perfectly on helicopters, boats and in moving cars. 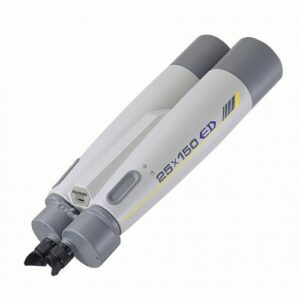 A high-speed gyroscopic motor effectively stabilises the image and provides high-resolution viewing with no jittering even under extreme conditions. The extremely tough body protect against impacts and scratching. In addition, all models are completely waterproof and comfortable in daily use. Note: This is a dual use product, EU export regulations apply. 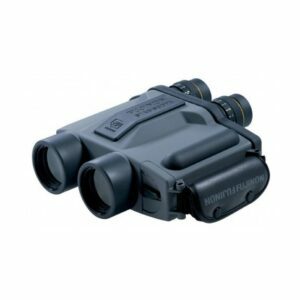 The Fujinon 25x150 ED D/N is the perfect high-powered night vision binocular for static applications.